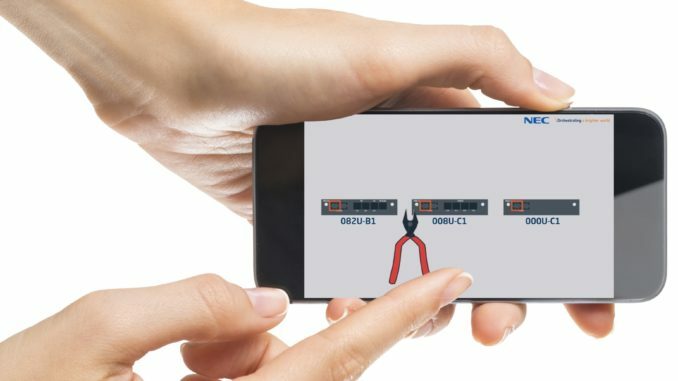 NEC has created a series of intuitive videos to propel the appeal of its latest communication platform, the SL2100, which is based on ‘pain free’ reseller adoption. The concept has been called ‘built-in brilliance’, thanks to its array of embedded applications; the SL2100 benefits from easy installation and deployment without the need for training. The solution is available via Nimans. The SL2100 gives resellers a compelling reason to sell hardware-based technology as part of NEC’s strategic evolution and business transformation. NEC is producing a complete ‘box set’ of around 50 videos to aid installation and boost reseller knowledge. John McKindland, head of solutions at Nimans, said: “This is the first time NEC has done anything on this scale. The videos range from two minutes to 20 minutes and are both engaging and informative. They reinforce why there’s never been an easier time to onboard as an NEC reseller or install the SL2100 which is an easy system anyway.